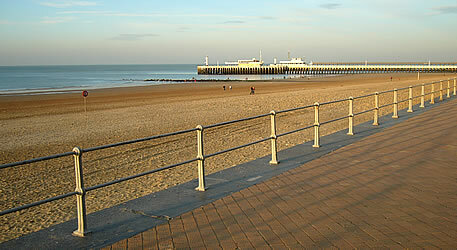 Ostend is a seaside resort on the north-west coast of Belgium. These pictures were taken during a weekend trip from England to Belgium. 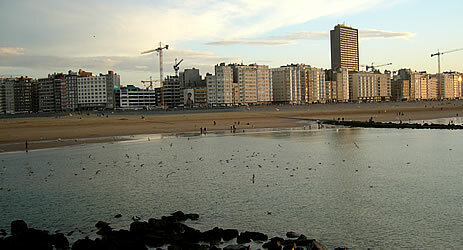 The beach - on the north side of the city - is long and sandy. 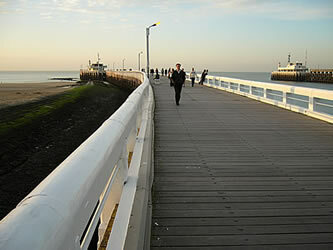 There is a promenade along the beach front (the Albert I Promenade), and a pier which extends out over the sea. 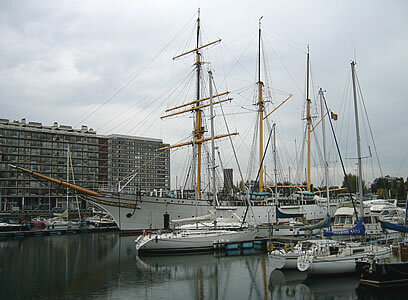 The yacht harbour includes a three-masted sailing boat called the Mercator which can be visited during summer months. 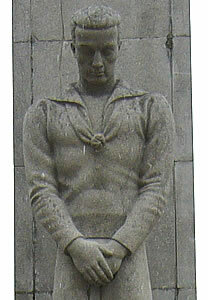 There is a memorial for sailors who have died at sea. The main shopping area is in the streets north of the yacht harbour, especially along the roads which are close to the beach. 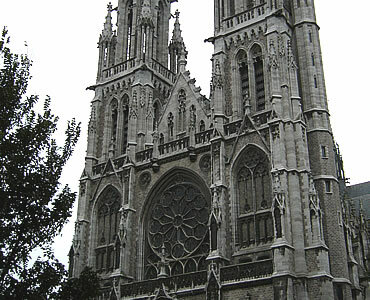 The main church is Sint Petrus En Pauluskerk, built in Gothic style. 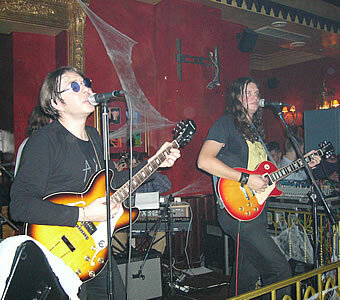 As would be expected in a resort town like Ostend, there are plenty of pubs, bars and nightclubs. You can sample some of the many varieties of Belgian beer, or have a Guinness in one of the Irish pubs if you prefer. 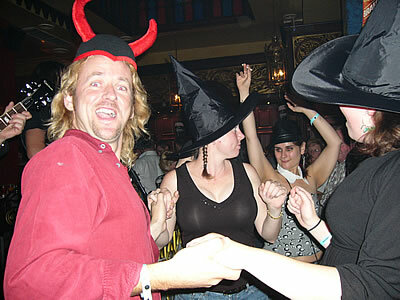 Anderson Tours organise a weekend trip to Diksmuide Beer Festival in October each year, staying in Ostend. 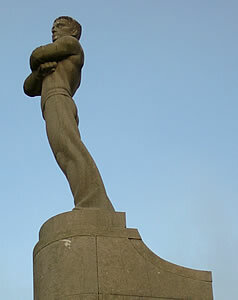 It is easy to visit other parts of Belgium from Ostend. 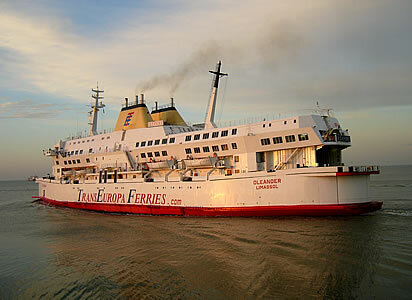 It is only a 30-minute drive from here to Bruges, one of Belgium's most popular tourist destinations.